Premium Bamboo Single Point 14"
are just the thing when you're working with slippery yarns, or even if you just want a warm feel to your needles. These quality bamboo needles are light and strong, well finished and smooth. A quality knitting needle at a very reasonable price. 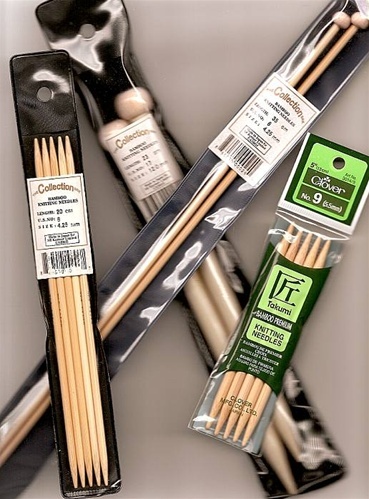 KA Premium Bamboo Circular Needles KA Premium Bamboo Exchangeable Circular Needle Set Large Size Selection Bamboo Double Point Needles Bamboo Single Point 9"